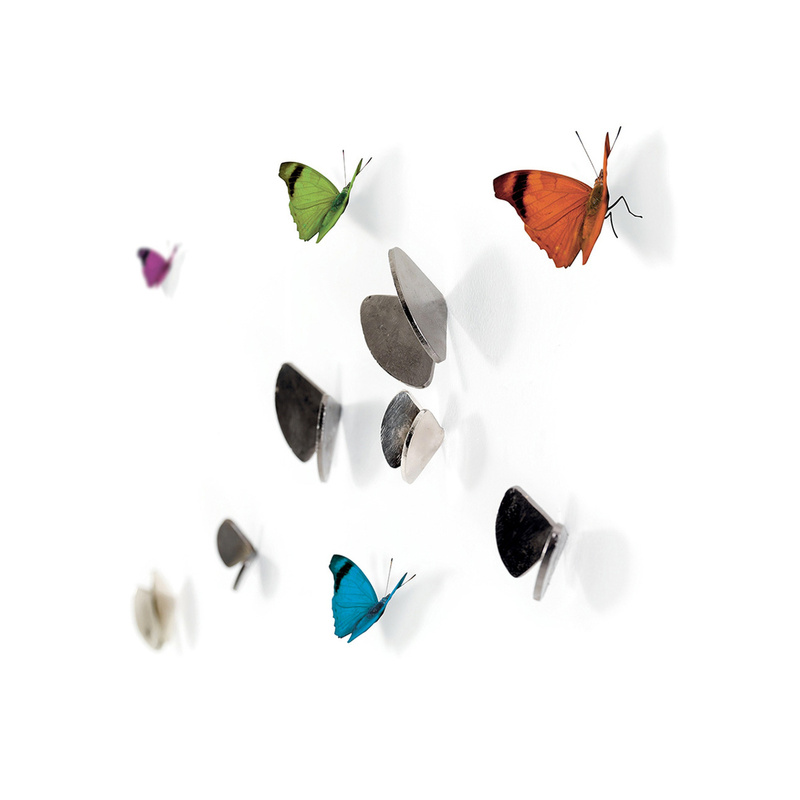 A convenient set of 6 hangers to fill the walls with a great multitude of butterflies of different colours. 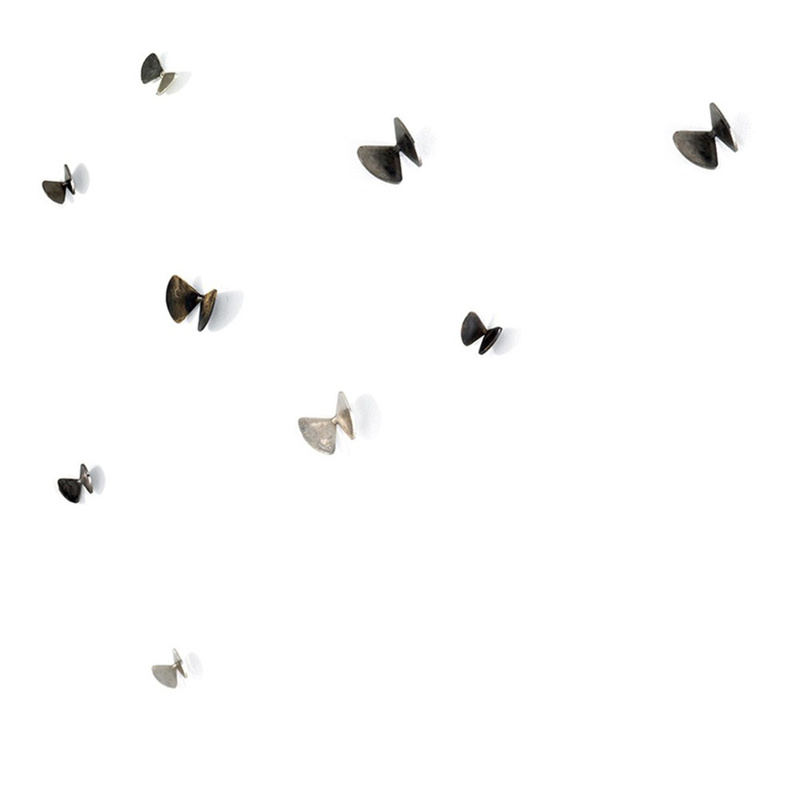 If you have a bare wall at home, why not fill it with a bunch of lightweight, wonderful little butterflies? 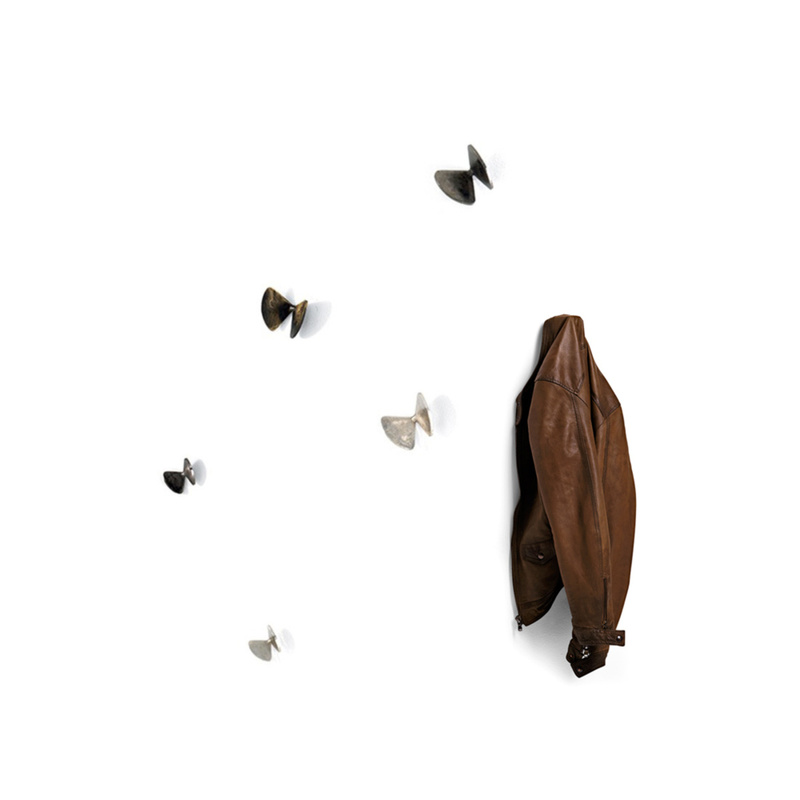 Mogg, an Italian company which mainly produces furniture and designer pieces, has just the thing you need - a set of 6 beautiful coat hooks that will prove super easy to wall mount thanks to the included mounting kit. 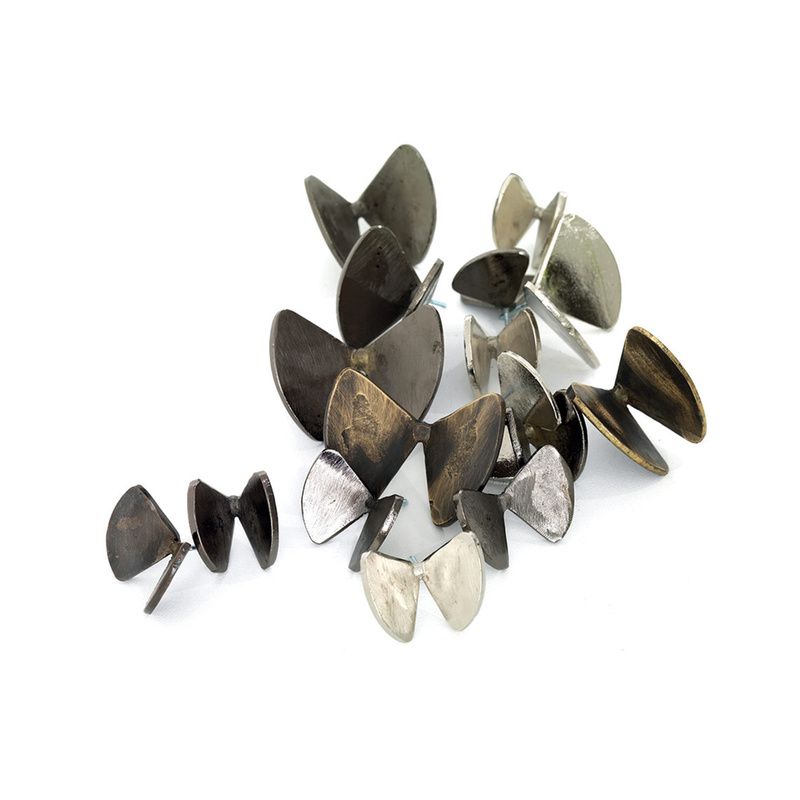 The set includes 6 butterflies in 2 sizes and 3 finishes - 2 in polished nickel, 2 in black nickel, 2 in oxidised brass. The main material is brass, mainly known for its quality and endurance in long periods. The composition is very simple and basic, there being only a pair of wings joined together by means of a small point of contact which acts as a body. Each butterfly is then complete with wall mounting fixtures. Being made from reinforced brass, these home accessories are extremely sturdy, durable and resistant. It is nevertheless recommended to keep the product away from sources of water or moisture in order to avoid rusting or deterioration of the material over time. It is also recommended to keep children away from such objects, in order to avoid any cuts and wounds due to the sharpness of the edges. As for the suggested colour palettes, these hangers are particularly recommended for environments that have predominantly white or delicate colours, so as to further underline the sense of lightness and simplicity that soft colours create. These butterflies will add a lighthearted feel to any home, even to the most traditional ones. They will bring you back to childhood memories and will let your mind wander and daydream any time you look at them. You can place them on the walls at leisure, in order to create your favourite composition and layout. After the graphics and painting of the beginning, Mora in the 90s enthusiastically embraces practices and theories of radical design. From this moment, the gallery Dilmos of Milan, will become for him a gym design and an ideal place to present its "unique" objects / sculptures in the balance between function and form dystrophies. In those years, Mora is exercised and explore the expressive possibilities of iron which combines wood and river stones met in its regular pilgrimages along the Apennine rivers. Between '98 and 2004 he made several "pieces" and projects of chairs, thrones and containers: the throne "ferruccio," the chair "oil" derived from the barrels of petroleum products, the chairs "chip chair", a meticulous and elegant seating , the container "sba dan", a project where the futuristic neo invisible force of the magnets acts as an intermediary in daring compositions. In 2004 he participated in the exhibition "Radical Design" curated by Gianni Pettena that documents in a small volume and rich the evolution of design from the 60s to today: Gianni Osgnach, Roberto Mora, Alexander Ciffo, Andrea Salvetti the Campana brothers and a dozen others represent the latest generation of designers power producers. In 2005 he was invited to "Art of Italian Design", international exhibition curated by Alessandro Mendini. The end of 2006 coincides with the trip in Indonesia. Here, Mora, collects memories and experiences that will have considerable influence on the birth of "tubismo." In 2008, presents the new collection "Cards & Cartocci" is the new protagonist of iron who dreams of being able to fly by simulating the lightness and fragility of the paper. 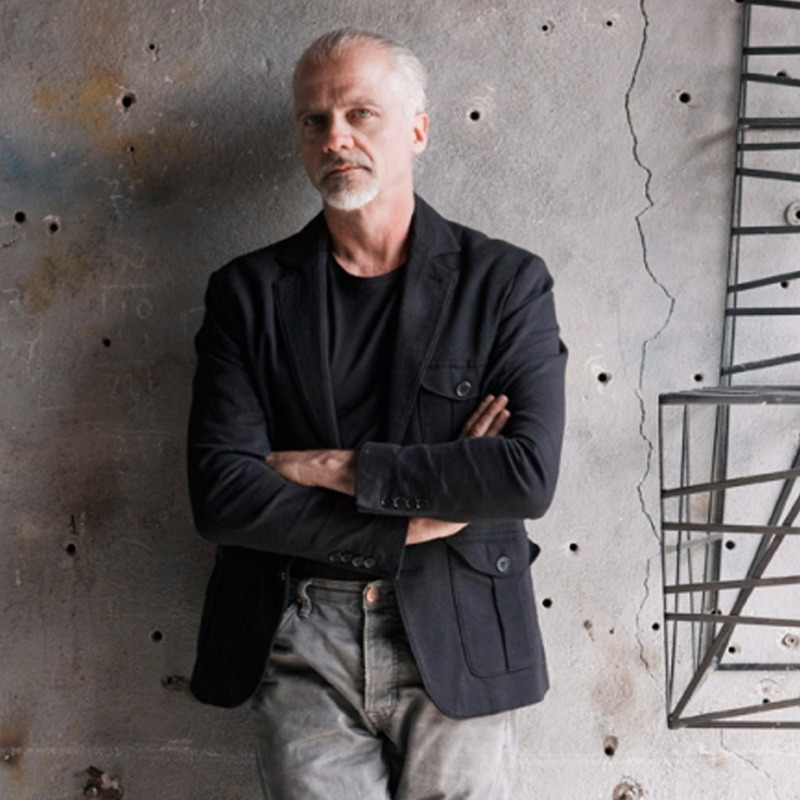 In 2010, he participated in the "What things are" curated by Alessandro Mendini and visible for an entire year at the Museum of the Triennale in Milan. In April of the same year shall submit to the Dilmos "cartocciona" an iron armchair shaped and sculpted as each carved block of rock, while the next staff "Giocoincasa" engages with new languages ​​by making 'Cosmocook "and" Verticalcook, "two works intended for outdoor sculpture. In 2011 presents "Babel," a new cylindrical container that continues traces wrinkles of previous work, this time in a robe of more sophisticated color.